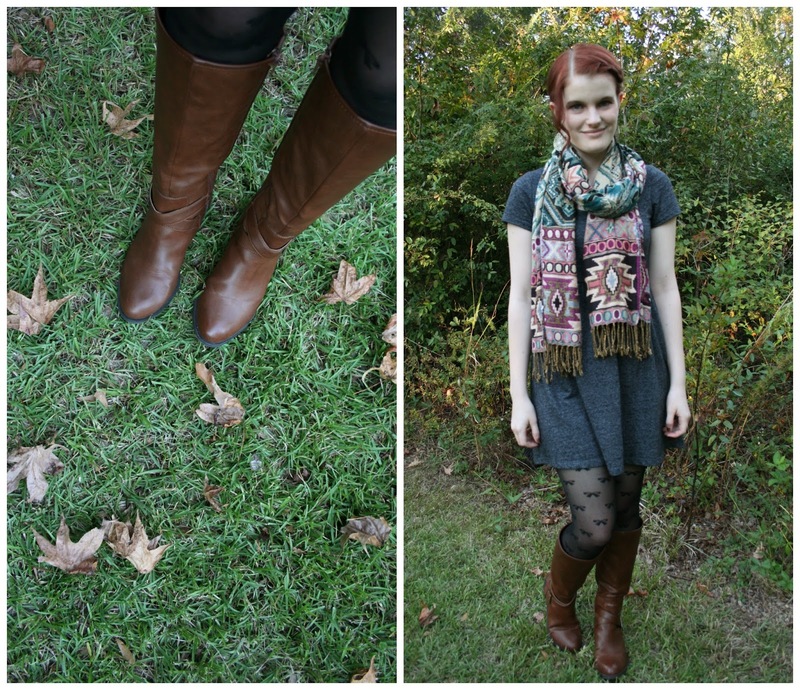 It's finally the time for scarves, tights, jackets and boots! The weather is finally starting to cool down and the air is even starting to smell like fall (yes, you know that smell - dried leaves, pine trees, and happiness). I always have to buy a pair of boots every year, and these ones from JCPenneys I am particularly fond of. I like the deep brown color and the fact that they have a substantial heel, plus they're super comfy! Currently JCP is having $10 off $25 so these boots would be a bargain if you're in need of this winter staple. Next Fashion Friday will be Halloween! I will be working but that's not gonna stop me from dressing up! What do you plan on wearing next Friday?